Cruising continues its explosive growth with innovative ship designs, pampering amenities, and world-class cuisine, covering the seven largest seas and seven continents of the world. With 16 new ships launching this year, there is no shortage of choice for a vacation at sea. Need help in deciding on where to go in 2018? Here are the VacayNetwork.com top picks — chosen because of the natural beauty, fascinating history, and bucket-list attributes on their itineraries. Bon voyage! The French Polynesian archipelago includes the Society Islands — Tahiti, Bora Bora, and Moorea being the most well known — as well as the Marquesas and Tuamotus islands. Although getting there is easy (there are daily flights from Los Angeles to Tahiti), getting around once you arrive is not. To see the other islands, you’d have to hop on inter-island flights, and even so, some islands are only accessible by ship. So a cruise really is your best ticket to paradise. What makes French Polynesia so special? Heaven on earth aside, it is a haven for water lovers and culture seekers. The azure seas promise amazing snorkeling and diving, and the chance to participate in every watersport imaginable. The water is warm, and the beaches beckon. The islands are dotted with ancient Polynesian sacred sites and World War II relics. Locals are welcoming and eager to share their history and life stories. Once you get on the remote islands, experience life at its simplest — walk along uncrowded lanes, accompanied by crowing roosters, laughing children, and grazing livestock. There are no traffic jams, no high-rises, no tourist traps, no stress. 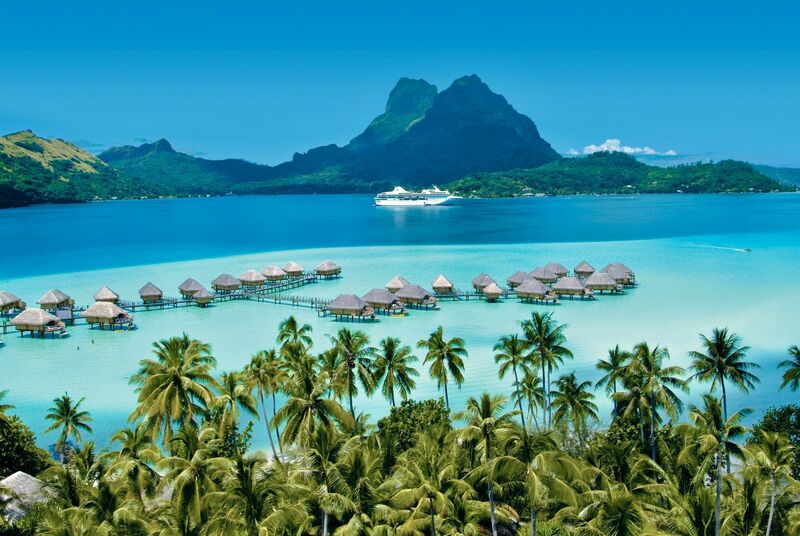 If You Sail: Plan on staying at least a couple of days before or after your cruise in Tahiti, Bora Bora, or Moorea to extend your stay in this idyllic setting. Chances are, you’ll only go there once, so splurge for an overwater bungalow. I won’t lie — it will be expensive. But the memories you will take home will be priceless, and having those moments makes it well worth the cost. Despite its name, Iceland is a hot destination for travelers, and a cruise is a great way to discover the island nation. A cruise offers multiple stops in Iceland, where you’ll visit historical settlements, ancient glaciers, and towering fjords. 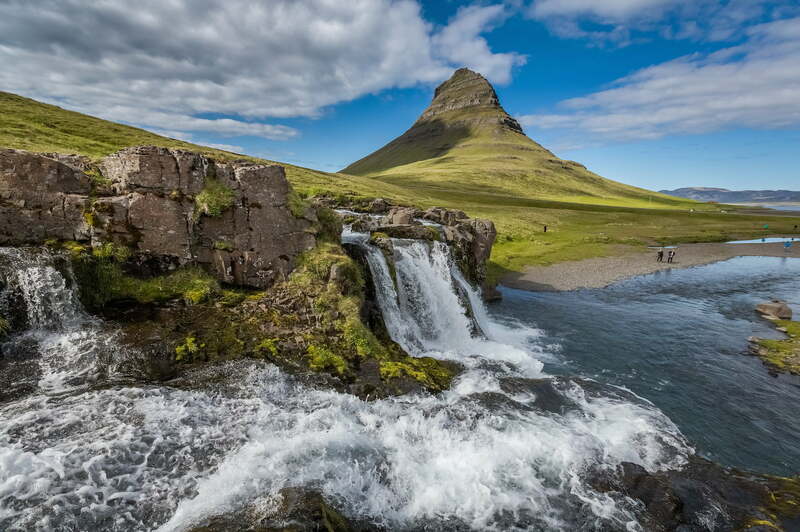 Usually part of a British Isles cruise that begins and ends in the United Kingdom, or a repositioning itinerary between Europe and North America, a visit to Iceland by ship provides great value as well as ease of getting around. If You Sail: Iceland is a seasonal destination, so most cruise lines will only offer one or two sailings per year. For an in-depth experience, take an expedition cruise that circumnavigates the island. Sailing on smaller ships offering soft-adventure experiences that focus on the history, people, and culture, you’ll have a chance to participate in active excursions such as guided hiking and kayaking, as well as to engage with locals for a fully immersive visit. On almost everyone’s bucket list, the frozen continent is also the hardest to reach. Although there are overland trips available, the best way to visit Antarctica is by ship, because of its remoteness and icy conditions. Landings will be made at several sites, with visits to research stations and guided excursions that include ice walks, penguin encounters, kayaking, wildlife viewing, and scenic cruising by Zodiac boat. Your voyage will be onboard an expedition ship, carrying no more than 300 guests. The ships are built specifically for polar-region cruising with ice-strengthened hulls, a fleet of Zodiacs, and a knowledgeable expedition team. They still feature all the creature comforts you expect from a luxury cruise. If You Sail: Advanced booking is a must, as departures are limited because of the short “warm” season. 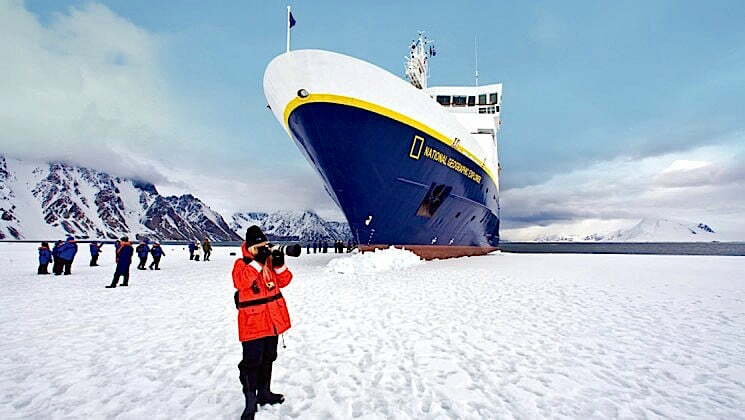 Be prepared for itinerary modifications as landings are very much dependent on weather and ice conditions. Crossing the Drake Passage can also be extremely rough, so be sure to bring sufficient seasickness remedies if you are prone to getting ill at sea. Called one of the seven manmade wonders of the world, the Panama Canal is an engineering marvel that took 10 years and the efforts of two countries to build at the turn of the 20th century. Being onboard a cruise ship as you transit the locks is an unforgettable experience. Never mind the lush scenery as you sail through this humid rainforest region, the awe-inspiring sight you will forever remember takes place directly below you. You will experience your massive vessel being raised and lowered 85 feet by nothing but water and pure gravity. The ship also provides fascinating minute-by-minute commentary during your transit. 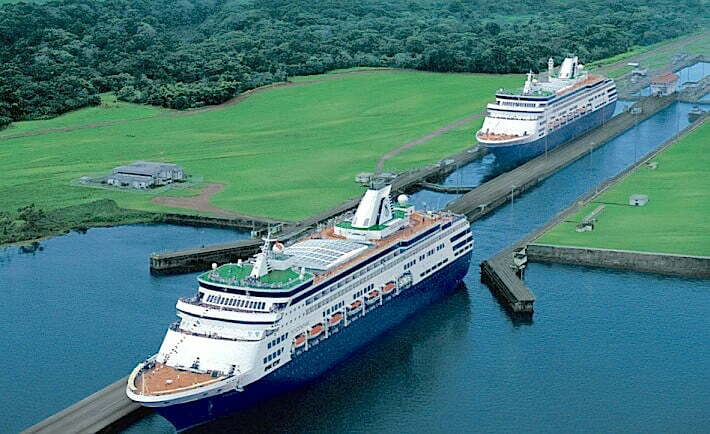 Panama Canal cruises are available as full transits or partial transits. A full-transit cruise sails between two oceans, passing through three sets of locks and crossing the continental divide. A partial transit passes through the first set of locks in the Caribbean side only, and exits through the same locks at the end of the day. During spring and fall, there are also repositioning cruises sailing all the way between Florida and Vancouver. If You Sail: For the best canal experience, opt for the full-transit cruise that includes visiting ports on both the Caribbean and Pacific side. But if you have limited time and budget, choose the partial transit for a taste of the canal journey.